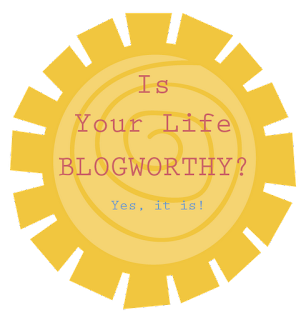 Blog Guidebook: Is My Life Blogworthy? There are many, many gorgeous, beautifully photographed, fascinatingly written blogs in this world? Do you feel like your blog belongs in that group description? Do you often wonder how these women do it all? How are their homes so gorgeous, clean, uncluttered? How do they photograph everyday life so easily, their children are smart and cute, and they themselves are perfectly coifed and manicured? It seems unfair doesn't it? Life is actually very messy, even though we, as human beings, try to cover up the fact that things smell and get dirty and that we change diapers and take out trash. So why are we so hard on ourselves when it comes to being blog-worthy? 1. Blogging is a place to only show the bright side of life. Well, I think this is a good thing to think about. Many bloggers only want to record that aspect of their lives. Who wants to read about how depressed, sad, lonely, in pain, or mundane our lives can be? We want positivity and beauty and joy right? Yes, we do. But we have to remember that it's not like that for everyone. 2. Blogging can be a place to let it all hang out and heal. So true! If you feel the call to spill your guts on your blog, it may be a good idea to give warning to your readers. If you are going to be graphic about something (such as surgery or a loved ones death) then make sure your readers are aware before they begin that journey with you. Sometimes letting it all out can help you as a writer heal the wounds. And sharing can often help others understand what you are going through and/or help others. Don't be afraid to be real. 3. My blog isn't beautiful. If you are saying that, it is surely not true! Everyone's blog is beautiful in one way or another. Beauty is in the eye of the beholder! If you love your blog, that is all that really matters. On the other hand, if you want to make your blog more beautiful, there are ways to do it on the cheap and do it yourself. Check our Resources for more info. 4. Blogging doesn't make me feel good. Sometimes we get in the dumps and we don't like anything. If you don't feel the call or need to blog then don't do it. Just because the whole world is blogging doesn't mean you have to do it. Seriously! Life is too short to mess around on a blog and not live your life to the fullest. If you have a chance to go sky diving or something, wouldn't it be better to do that than to not go because you've got a blogging deadline you created for yourself? Or not go scuba diving because you don't have an underwater camera and can't blog about it afterward? 5. Remember REAL LIFE isn't picture perfect. Try to remember that blogging is all about smoke and mirrors. Smoke and mirrors is staging to make it look amazing and perfect to the viewer. Behind the scenes can be totally different. Right outside the frame of the photograph can be the piled up dirty dishes and all the clutter that just got moved out of the picture! And don't forget that Photoshop makes you look thinner and brighter and everything lovely if you use it. You can if you want to. 5. Being real is what makes people love you. This is the truth. If a readers doesn't like what you write then you don't need them to read your blog. Don't blog just to get readers and build up your stats. Blog because it makes you happy, be your real, authentic self...this will garner you readers for life and they will love you for it. 6. Throw out all the misconceptions. I can't blog about anything because I'm too fat, I'm too thin, I'm not pretty, My house is a mess, I'm not wealthy enough, I don't have cool paint on the walls, I'm not crafty, I don't use coupons, I don't know CSS or how to blog, I'm not smart or interesting, I can't write, I'm embarrassed, etc. All those ideas about perfection should be thrown out! You are worthy, no matter what your situation. You can blog if you want to! Yes, there are beautiful blogs out there, talking about beautiful lives and beautiful people. They are just a drop in the bucket of what is really out there in the world. Blogging is not life. Life is not blogging. Remember to look at it for what it is...a Tool. A means to an end. A document of your journey. And your journey is truly beautiful. So, yes, your life is worthy. NOTE: This editorial is written from my point of view. Blogging isn't for everyone. I hope I got my meaning across to my dear readers. If not, I apologize. Send me an email to discuss. P.s. I got "blogworthy" in a way from "spongeworthy" from Seinfeld. I LOVE this entry! It is so spot on and completely true. Thank you so much for this. It reinforces my thoughts on blogging from any angle. Thank you for your kind comment pollydove, it makes me feel like I wrote what I meant to...sometimes it doesn't come out like I hope. Take care! As a rather new blogger I really appreciate your honesty and reality check on what blogging is really about. If it isabout the number of followers and perfection then I would have stopped a while ago. If it is about connecting with others to share creativity than Iam good to go. Yes indeed! Thanks for commenting Cathy! Such great tips...Life definitely is not blogging, but sometimes I get caught up in the stats. To me, that means I am reaching people who want to hear what I have to say...Not necessarily about popularity. Does that make sense? It's a means of being heard...making a difference in this world one word at a time. I totally agree. I mean, we all want someone to hear what we're saying. There's nothing at all wrong with checking stats...I do it every day! Thank you for commenting 2busy! Oh! Thank you so much for that post you totally read my mind! It is a great encouragement for me to continue blogging bcoz there were time I want to just stop bcoz my blog is not appealing at all (my native tongue is not english and needs work). And sometimes I feel intimidated by the many beautiful blogs I read everyday. 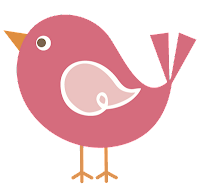 Surely blogs are meant to encourage and a corner where we can share thoughts, tips,crafts & ideas on anything. It should be a place where we can freely express ourselves and influence others. It is a tool to reach out to people looking for friends. A place where we can hang out after a busy day....Blogging is a blessing and I agree that every post should be positive and uplifting, or when you feel down someone from the blogland can lift your spirits up. Blogging is creating friends from around the world. You have totally converted my way of thinking and the way I felt about blogging! THANK YOU BUNCHES! Don't stop blogging...it is definitely a blessing, even in the face of perfection! I forgot to thank you specifically for reminding us all. THANK YOU!!!! Thank you Howdy-Honey! We welcome printables for sure!!! We appreciate your comments - keep blogging!